Guess what? There’s just one more day until we can all smash one another! Hmm, let’s rephrase that. Tomorrow, December 7th, is the day Super Smash Bros. Ultimate comes out for the Nintendo Switch which means you’re going to want to round up your friends for some good ol’ 8-player battles. Speaking of rounding up, reviews for the game are now pouring in and we’ve decided we’d be nice and highlight what critics are saying about the fifth-entry in Nintendo’s fan-crazed brawler series. In case you’ve been worried, don’t be. At the time of this writing, Ultimate is sitting a super cool 93 on Metacritic with 24 reviews. As is the norm, expect that number to shift slightly as more critics weigh in on their thoughts. As for us here at COGconnected, you can find our official review by clicking here. For a few other takes, we’ve compiled a list below of a handful of quality reviews. Smash Bros. has often felt a bit like it was trying to do too much and while it has always been a fun series, the disparity between the fighting game and the party game didn’t always mesh well. Ultimate is the perfect fusion of the two styles. 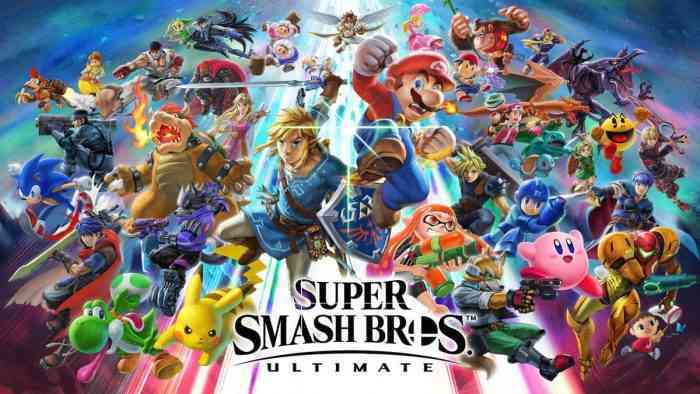 There are countless additions to it as a fighting game to keep the competitive players happy, but the new items and features make the party game the most exciting it could be. Super Smash Bros. Ultimate feels like one of the best-written love letters to gaming that there has ever been, the care and attention given to each of the games represented are incredible. This is quite simply a must-play game, one that will keep you going for hundreds of hours with its single player alone, and with multiplayer that will keep you going for thousands. Despite that a lot of the old content isn’t as hard-hitting seeing it the second, third, fourth or even fifth time around, the fact that it’s all here, and in a manageable file size, is more than enough. Super Smash Bros. Ultimate lives up to its name, offering the most comprehensive game in the series to date. It has an absurd amount to play, fight, and unlock – though that can be to its detriment at times. While the World of Light adventure mode isn’t reason alone to get Smash Bros., it’s still a consistently amusing and shockingly large campaign and a worthy complement to Ultimate’s incredible multiplayer core. It’s harder than ever to resist embracing the chaos because with so many ingredients it’s bound to surprise you more often than not. As its title suggests, this is a sequel that pulls out all the stops, as you sense that Sakurai is going all-out to indulge his inner nerd for maybe the final time. It’s a rapturous celebration, not just of Nintendo, but video games as a whole. Now for pity’s sake, let the poor man have a rest. For dedicated fans, though, such a challenge will doubtless prove appealing. Super Smash Bros Ultimate, for all its accessibility and riotous multiplayer fun, may be one of the few mainstream Nintendo games that aren’t necessarily for everyone. But that’s okay. Because in pursuing its more technical elements and providing its most substantial solo adventure yet, it’s hard to see Super Smash Bros. Ultimate as anything other than a series’ best. Are you primed and ready for tomorrow’s launch? Share your thoughts in the comments section below.